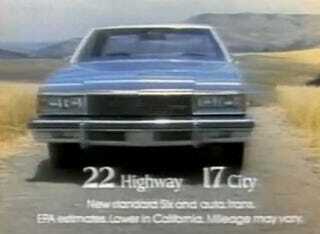 The 1977 Caprice and a Cast Of Thousands: Now THAT'S More Like It! Even as The General placed a huge bet on the obsolete-from-the-start Chevette, he also hedged his bets with the good ol' full-sized Caprice. What better way to celebrate the bigger, bulkier Caprice than with song? It&apos;s About Time... For The 1976 Chevette?